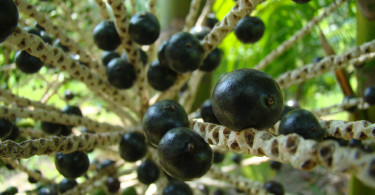 Acai berry come from acai palm [Euterpe oleracea a.k.a. Cabbage palm] which is a species of palm tree cultivated for their fruit. They are being sold in an aggressive manner by companies which claim they are superfood with anti-aging and weight loss properties. Despite the attention, there is little to back up the extravagant claims made about acai. While it has been shown that berry does contain antioxidants there are no long-term studies proving that açaí removes wrinkles or remove toxins from the body.